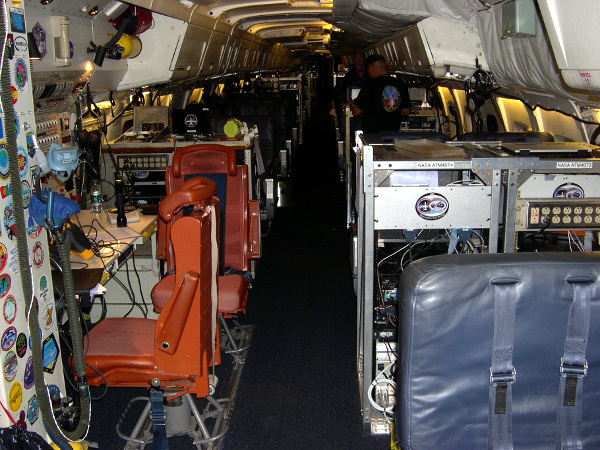 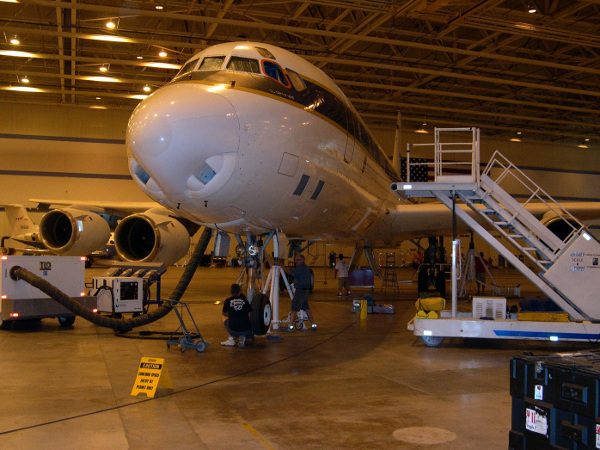 The work of installing IceBridge’s science instruments on the NASA DC-8 airborne laboratory continued this week. 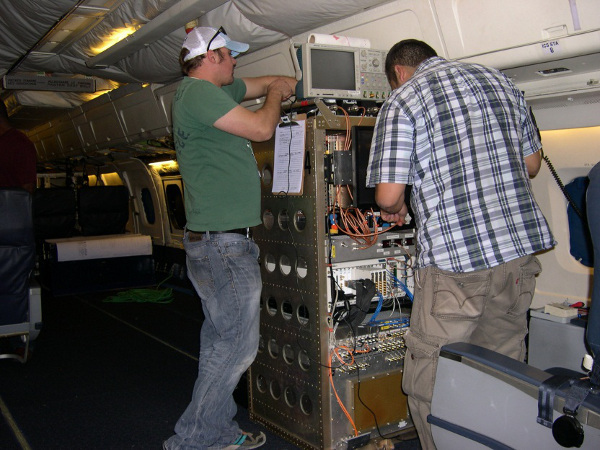 People from the Center for the Remote Sensing of Ice Sheets at the University of Kansas (CReSIS) and from Sander Geophysics Limited (SGL) spent the week installing the aircraft’s various radar instruments and the AirGrav gravimeter. 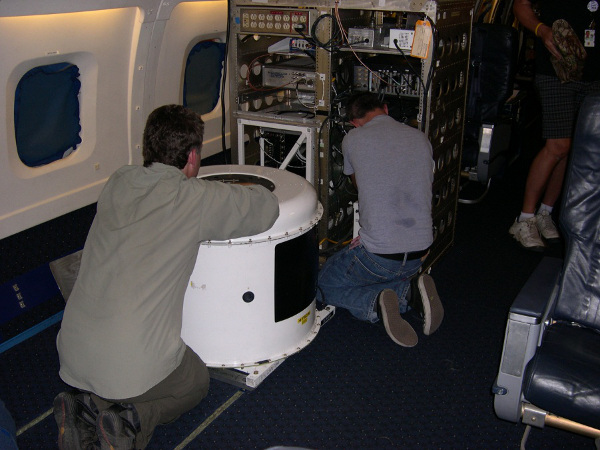 With the last of the instruments installed and operational, IceBridge is now ready to start test flights next week. 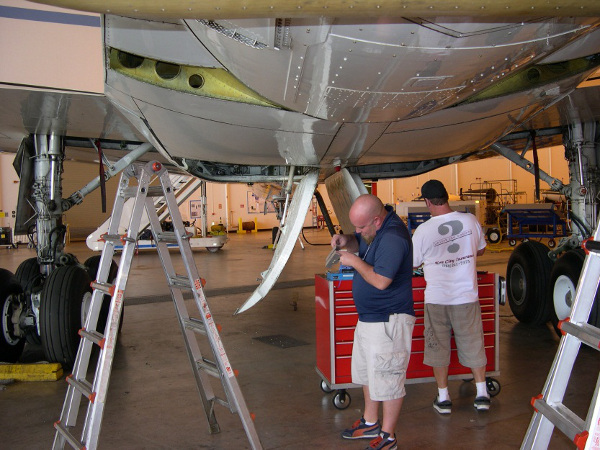 Monday afternoon’s schedule includes pilot proficiency flights and on Tuesday and Wednesday IceBridge will carry out instrument check flights.